HEATHER’S PICK :: HAWKEYE #2: I read Hawkeye #1 at Seth’s insistence and wasn’t really expecting to enjoy it. My forays into the Avengers are generally short with rapid retreats. Color me surprised to not only enjoy Hawkeye #1, but to add it to my reading list each month. 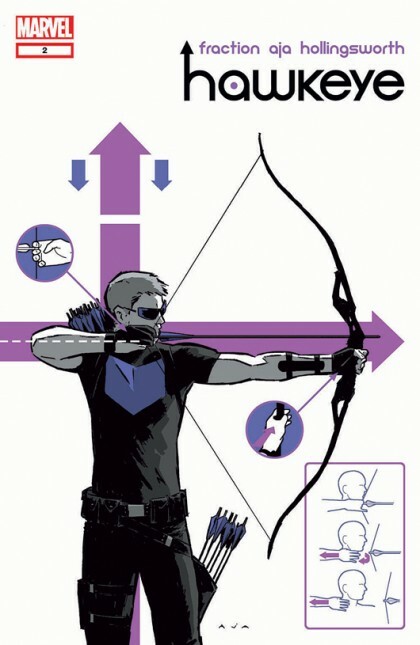 David Aja’s art is beautiful, especially his covers, and Matt Fraction is crafting an interesting story about Hawkeye that seems to paint him a little in the vein of a modern day Robin Hood. The first issue also managed to spin off at least two twitter accounts with @PizzaDog and @LandlordBro. This issue promises the return of Kate Bishop, who is apparently a fan favorite I will need to learn more about.